It’s not only Baidu with a toehold in Northern California. China’s self-driving startups are sprouting major R&D outposts 6,000 miles from Beijing. China’s congested megacities may have a need for self-driving cars, but the expertise is elsewhere. Baidu recognized this in 2014 when it created an office in Sunnyvale, Calif., with 200 engineers and scientists working on AI and self-driving software. The tech giant said it is adding 150 people in a second facility in the same town. That research hub has been an overseas incubator for Chinese programmers and engineers, many of whom gain skills from U.S. institutions and colleagues before returning to China. But some leave Baidu and launch startups such as Pony and two other Chinese-backed self-driving firms, Roadstar.ai and Jingchi.ai, while poaching from elite U.S. tech companies. 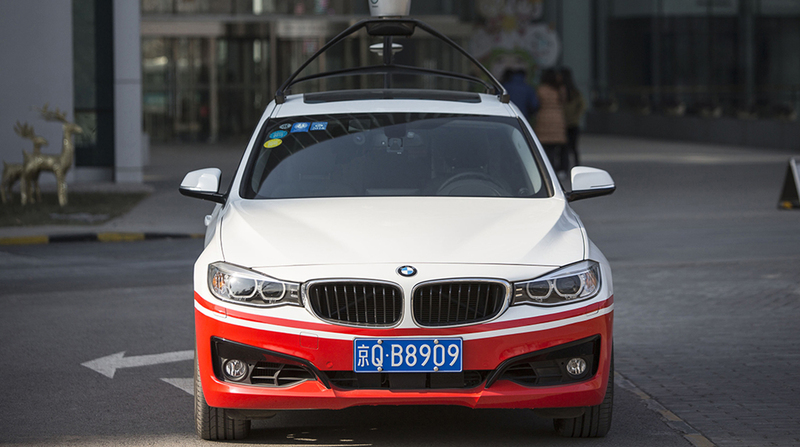 The push into self-driving cars is part of China President Xi’s mission to make dominance in artificial intelligence a pillar of the country’s economic future. To get there, however, many of China’s biggest tech giants and most interesting startups need Silicon Valley’s knowledge. Engineers working in the United States —some Chinese visa holders who went overseas for degrees, some American hires—are a major part of China’s push to develop autonomous vehicles. Didi Chuxing, the ride-hailing giant that pushed Uber out of China, also keeps most of its driverless research in the United States. New tariffs imposed by the United States have come with a threat to block any company with 25% Chinese ownership from buying any American company that makes “ industrially significant technology.” But the trans-Pacific nature of these driverless efforts makes President Donald Trump’s push to wall off American technology difficult, if not impossible. Trump also has made intellectual property a trade issue, and U.S companies worry about theft. In July, U.S. federal prosecutors accused former Apple engineer Zhang Xiaolang of downloading files containing proprietary information on driverless cars and selling it to a Chinese startup. Regardless of Trump’s concerns, the Chinese tech companies are here. Even if the Trump administration succeeds in stopping deals, it won’t prevent Chinese companies from hiring data scientists, software engineers and technical leaders from the likes of Alphabet Inc., Tesla Inc., and other major players in the driverless field. Qing Lu, the chief financial officer of Jingchi, came from Velodyne Lidar. Liang Heng, Roadstar’s chief technical officer, worked at Google and Tesla. Peng started Pony two years ago with about 20 people in Fremont, near Tesla’s car factory, and now has more than 100 engineers working on cars that drive themselves. He has raised $214 million from investors in the United States and China, with the latest being led by China-based ClearVue Partners and Eight Roads Ventures, an offshoot of Fidelity Management. The company’s test cars can navigate traffic and drive at highway speeds. Those cars have been on public roads thanks to superior testing conditions found in the United States. China until recently had a strict ban on driverless test vehicles. Next year, Peng said, Pony will deploy a test fleet of robotaxis in Guangzhou—about the same time General Motors Co. plans to start a driverless ride-hailing business, most likely in San Francisco. Pony plans to deploy the technology commercially, in either ride-hailing or delivery fleets, within three to five years. Peng exemplifies the way China’s tech leaders come into their own through contact with U.S. institutions and employers. After an education in China and the United States, he worked for seven years at Google as a software engineer developing big data applications and artificial intelligence. He was lured away in 2012 by Baidu, where he led its autonomous-vehicle project in Sunnyvale. That’s where he met Pony co-founder Lou, who worked to develop self-driving cars at Google before the formation of the Waymo autonomous unit. To lure more talent, Tong set up a large R&D center in Cupertino, Calif., where Apple is based, and gave that office responsibility for self-driving tech. Roadstar is targeting 2020 to deploy thousands of robotaxis in Guangzhou, Tong said in an interview. The cars will be able to drive in Level 4, which means they will be fully autonomous within a mapped-out area. Roadstar is working with Renovo.auto, a Silicon Valley company that creates the operating system for self-driving cars, to connect its software to lidar, cameras and other sensors, Renovo CEO Christopher Heiser said. The operating system takes what the hardware sees and sends it to Roadstar’s computer brain, which then drives the car. Renovo can also connect Roadstar’s cars to mapping systems and even to a ride-hailing system such as Uber or Lyft. Thanks to tax credits from the government, China’s automakers have become competitive players in the EV game. Now those same companies, alongside China’s overseas tech firms, are fishing in Silicon Valley’s limited pool for self-driving talent. That will pressure U.S. automakers such as GM and Ford Motor. With assistance by David Ramli, Yan Zhang, and Alex Barinka.